Laminate countertops are very popular for placement in homes across the country because of the inexpensive nature of laminate countertops, but because laminate countertops are so inexpensive, many homeowners forget that these countertops need regular care to ensure that they remain looking clean and new. Although the care needed to protect a laminate countertop is much less than what is required for other types of countertops, there are still some things that should be done on a regular basis and actions that should be avoided at all cost to keep a laminate countertop looking its best. A laminate countertop is one of the easiest types of countertops to clean because of the material that it is made out of. It is non-porous and generally does not have seams so its can be easily cleaned with a soft cloth and a soap and water solution. Using strong chemical cleaners or abrasive scouring pads on the surface of a laminate countertop is not recommended because they can harm the finish of the countertop causing scratching and blemishes on the surface. If something is spilled on the surface of the countertop, it should be wiped up immediately to prevent the substance from drying and adhering to the countertop surface. Allowing the substance to dry on the countertop can cause issues when you try to remove it as it could damage the finish of the countertop or may be difficult to remove without the use of a harsh chemical treatment. Once the finish of a laminate countertop is marred by scratches or holes in the finish, the only options for homeowners are to replace the entire countertop with a new one or refinish the existing countertop with new laminate material. Many manufacturers will include basic care instructions for the laminate countertop in the package with their product to ensure that homeowners know what they should be doing to maintain their laminate countertop. Laminate countertops can be sealed using a number of different sealant materials and the material used on your specific countertop will determine what type of regular maintenance will need to be done. 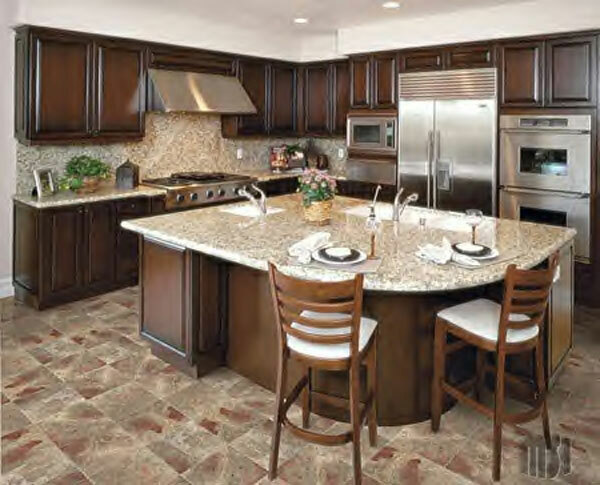 Most laminate countertops are low maintenance and only require regular cleaning to keep it looking its best. There are certain things that should never be done to the surface of a laminate countertop if the homeowner would like to preserve the look and the finish of the countertop. A person should never place a hot object on the surface of the countertop because laminate material is not heat resistant and may melt under the heat of the hot object. The surface of the countertop should never be used as a cutting surface because the laminate surface is not scratch resistant and can be gouged beyond repair by sharpened knives and other cutlery.